Spring planting = lots of plastic pots. 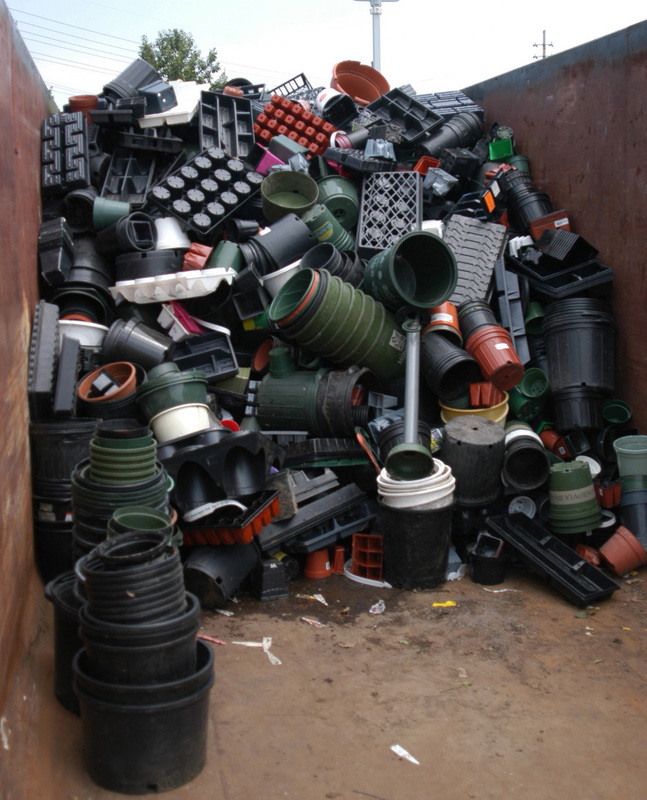 Every April, as your daffodils come up and your flowers go in, the Plastic Pot Recycling program opens again at garden centers around St. Louis. Plastic pots cannot go into single stream recycling! Our specialized local program helps manage some of more than 350,000 pounds of horticultural plastic added to the U.S. waste stream each year. Since the Garden launched this effort in 1998, our region’s plastic pot recycling program has kept over one million pounds of horticultural waste out of landfills. Since 2017, local recycling experts at Central Paper Stock (CPS) have managed this program. CPS has been in the recycling business since 1946. They have invested in equipment to effectively process horticultural plastic and to increase the capacity of this program. The Plastic Pot Recycling program is funded in part by the St. Louis-Jefferson Solid Waste Management District. Thanks to the local garden centers hosting pot recycling trailers this year! Check the program’s website to find a facility near you. And be sure to shop when you drop! Support these businesses as a way of saying "thank you" for their help with this great program. Commercial landscapers should deliver material directly to: Central Paper Stock, 6665 Jonas Place, St Louis, MO 63134. To schedule delivery, please call (314) 521-8686 ext 101. Remember—horticultural plastic should NEVER go into your single stream recycling! Dropping off your pots is just one more reason to visit your favorite local garden center—or the Missouri Botanical Garden. Thank you to everyone helping to keep this program successful!